Oh boy! 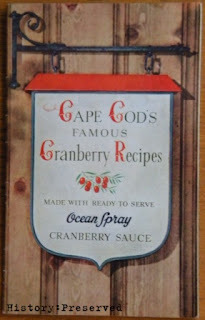 Today's post is so fun! 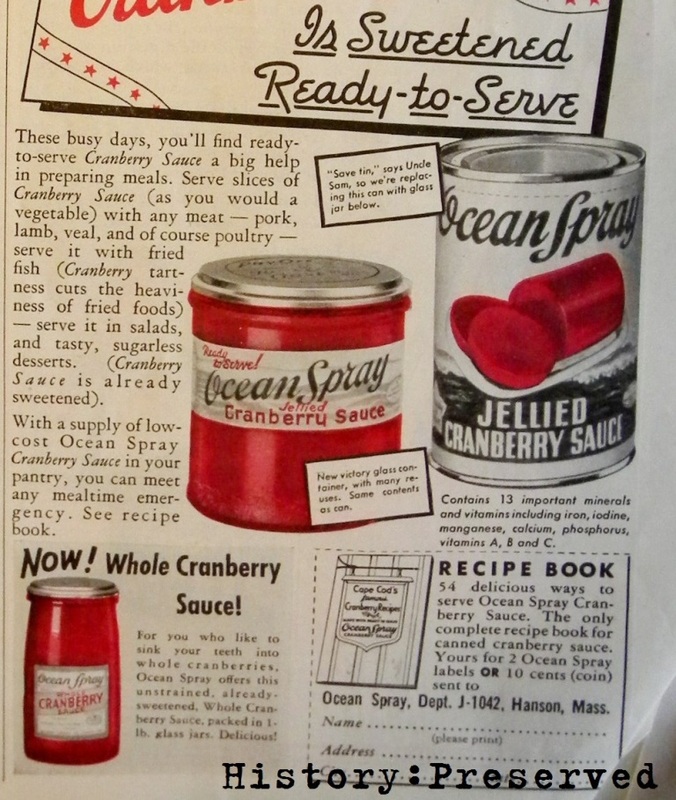 So, if you remember, Day 15 was this Ocean Spray Cranberry Sauce ad. See that recipe book they advertise in the lower right corner? Well, on a whim, I looked it up on ebay, and someone had a copy for sale at a totally decent price! So, I ordered it. Yay! 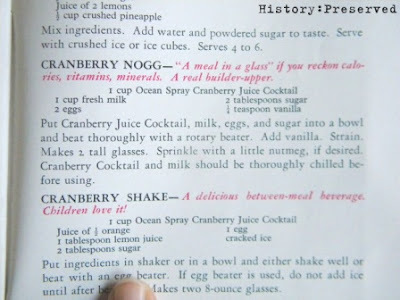 There are lots of fun, interesting, and bizarre recipes to be found within, but I'm just posting the ones that struck me. Like this fun picture featuring the many shapes you can cut with cookie cutters from slices of the famous (but new at the time) "cranberry log". 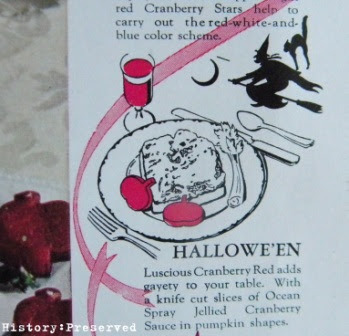 Here's a close-up of the Halloween one, because it's October! Isn't the artwork cute? I like the picture of this little girl. 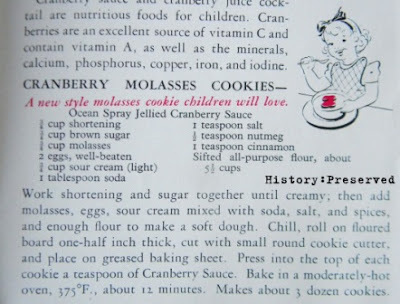 And the recipe for Cranberry Molasses Cookies where you press a cube of the jelled cranberry sauce into the middle of each cookie. Interesting! Cranberry Frappe is a maybe with the cranberry juice cocktail and vanilla ice cream. I can see it. What I truly love the most, is this recipe for Cranberry Gingerbread. 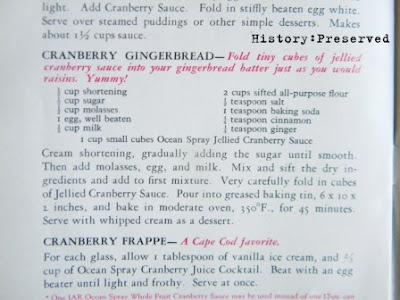 You make the gingerbread... but THEN you fold cubes of the Jellied Cranberry Sauce into the batter and then bake it, "like you would raisins!" Of course! haha! My brain just says "Wha-??" and "Why?" 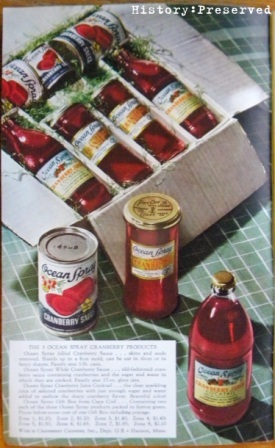 and "That is so bizarre, but I want to try it!" Who would think to do something like that? haha! Man, this stuff is so fun. I can't get enough of it. 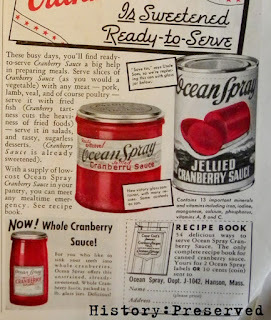 I hope you enjoyed these fun 1941 cranberry recipes. I dare you to try one! ;-) Which one would you consider? P.S. 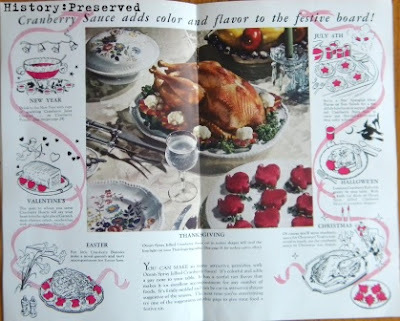 I didn't even bother posting the Fish Salad Ring recipe - jellied cranberry sauce with shredded cabbage in a ring with flaked fish and mayo in the center. Just, no, people. NO.